Paprika is one of the most widely used spices around the world. A dried powder made from bell peppers or chili peppers, it is commonly used in Hungarian, African, and Spanish cuisines for its color and flavor and has made its way west as a staple, everyday ingredient. So, what’s the difference between regular, Hungarian, sweet, hot, Spanish, and smoked paprika? Sweet paprika (commonly labeled as Hungarian sweet paprika) has a rich, fruity flavor like a red bell pepper with no heat. It’s great as an all-around paprika and more interesting than the regular stuff. Hot paprika is made from dried chili peppers and will be more similar to cayenne, but less spicy. Paprika is a spice made from the grinding of dried fruits of Capsicum annuum (e.g. bell peppers or chili peppers). In many European countries the word paprika also refers to bell peppers themselves. The seasoning is used in many cuisines to add colour and flavour to dishes. Paprika can range from sweet (mild not hot) to spicy (hot). Flavours also vary from country to country. Hungary is a major source of high-quality paprika in grades ranging from very sweet with a deep bright red colour to rather hot with a brownish orange colour. In Spain paprika is known as pimentón and is quite different in taste; pimentón has a distinct Smokey flavour and aroma as it is dried by smoking typically using oak wood. Pimentón is a key ingredient in several Spanish sausage products such as chorizo or sobrasada as well as much Spanish cooking. 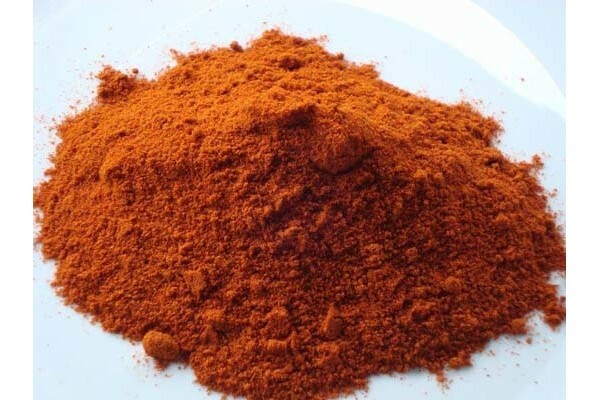 Outside of Spain pimentón is often referred to as simply "smoked paprika" and can be found in varying intensities from sweet and mild medium hot or very hot and spicy. Contrary to popular belief the redder the colour paprika appears - the milder it is. The yellow variety is very hot and flavourful. Definitely not for the timid and should be used with care with those who cannot handle its spicy nature. As Paprika contains significant amounts of sugar it must not be overheated as the sugar will quickly turn bitter. Frying paprika powder in hot oil is therefore a critical procedure that must last no longer than a few seconds. Paprika deteriorates quickly so it should be purchased in small quantities and kept in airtight containers away from sunlight. Replace the paprika from your pantry every six months to ensure that you have the most flavourful batch handy.